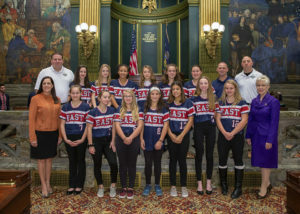 HARRISBURG – The Pennsylvania Senate and House honored the Little League softball team from Tunkhannock today, recognizing players and coaches and family members for their historic run that culminated with a runner up finish in the World Series championship game in Portland, Oregon. “Their phenomenal season included winning the Pennsylvania State Tournament, winning the Eastern Regional Championship, and ultimately finishing second in the Little League Softball World Series. It was a stirring run and quite an accomplishment,” noted Sen. Lisa Baker (R-20th), who followed the girls closely and met with them to offer words of encouragements before they flew west. Baker said the team brought not only the entire Wyoming County community together, but fans from throughout the region and state also were firmly in their corner cheering the Tigers on. “It is always exciting when a Pennsylvania team takes their winning ways to the national level. There is an extra level of excitement when the convergence of exceptional talent and team play occurs in a small community distant from the traditional sports powerhouses,” she said. “There were a lot of people inspired by the energy, enthusiasm, and sportsmanship these young ladies displayed. It was refreshing to see the spirit overtake the community, the county, and beyond, where people put aside their differences and made common cause in cheering on this championship team. The historic Dietrich Theatre was packed with fans on Aug. 15 watching the championship game against the squad from Wheelersburg, Ohio on the big screen. And when the girls returned home, more than 1,000 people lined the streets for a celebration parade. 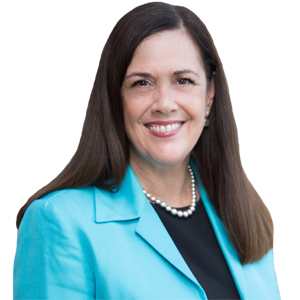 “The great benefits of sports include their ability to rally a community, and the accomplishments of these girls did just that,” said Rep. Karen Boback (R-117th). “It was fun to watch the town of Tunkhannock get behind them, and we’re very proud of what they accomplished. 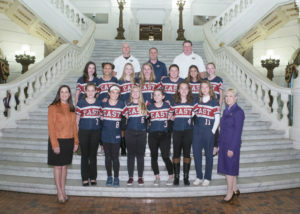 Tunkhannock Majors Little League softball team coaches, players and their families visited the Capitol and met with Sen. Lisa Baker and Rep. Karen Boback and were honored in both chambers for their runner-up finish in the World Series this summer. They took some time to take a photo in the Capitol rotunda.